The Exosphere MC5600 training session was offered on behalf of Vision On the Go Ldt. Founded in 2010, VOTG is a Kenyan construction company that aims to provide its clients "with projects of first class quality, delivered efficiently with minimal impact on the environment". We began the session by explaining the necessity for accurate, pertinent traffic data. 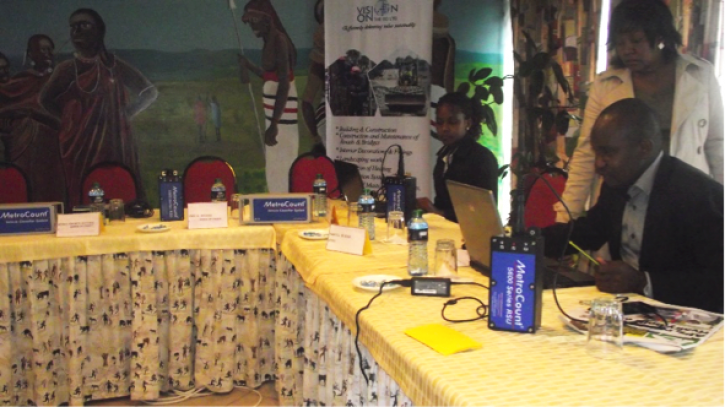 Shortly after, the Kenyan traffic engineers got hands on training with the MetroCount traffic equipment. They were actively involved in the process of a MC5600 site installation. After positive indicators from our work in Nigeria on adopting effective traffic monitoring, this successful training session is expected to improve safety and efficiency on Kenya's road networks.